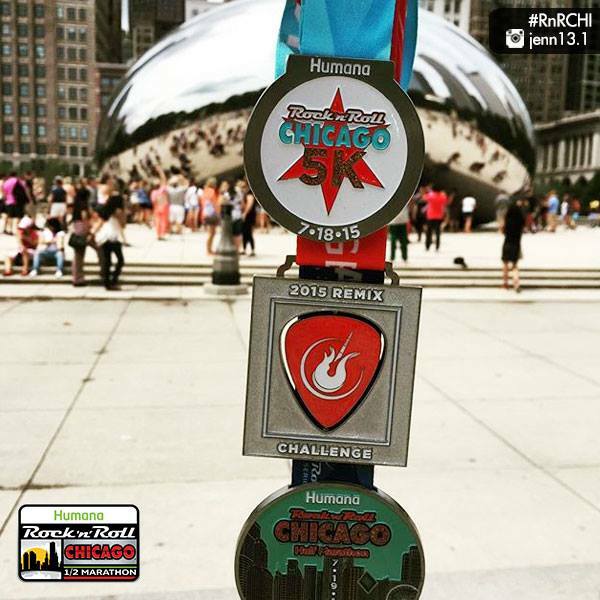 I’ve already covered the expo in part 1 and the 5K and #WeRunSocial meet up in part 2. 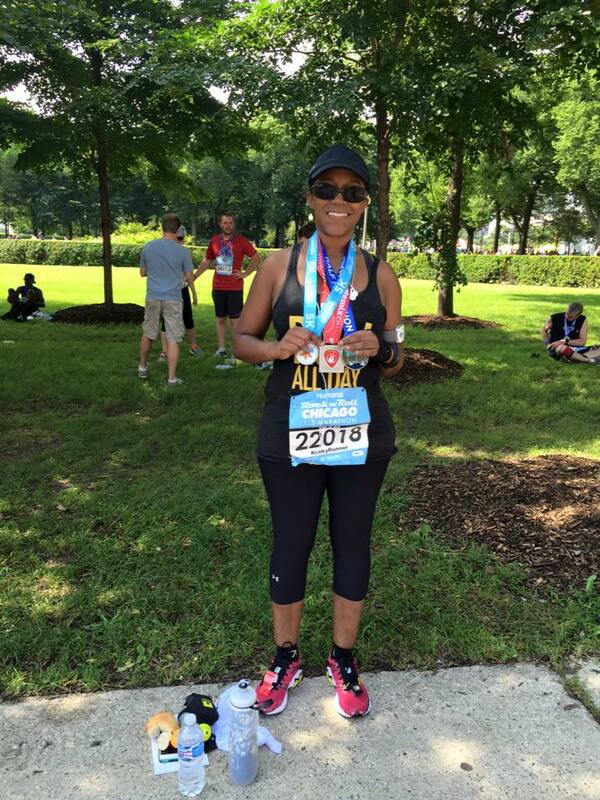 Now it’s time for part 3 – the grand finale known as the half marathon! Let’s back up a minute to before the race. I woke up at 4:30 a.m.and left my room by 5:30 a.m. My hotel was connected to the expo and they were offering shuttle service to the start of the race (this was one of my main reasons for picking the hotel). I ended up waiting 25 minutes for an available shuttle. The hotel only had one shuttle picking up and dropping off runners. They really should have had 2 shuttles. In addition, the shuttle didn’t really drop us off too close to the start line – it was still a 20 minute walk! 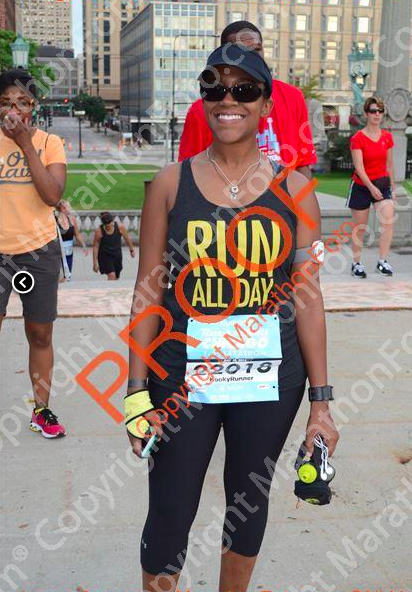 I must have walked about a mile to the start line – hence why I was sweating before the start of the race. I arrived at my corral just as the race was starting. Talk about cutting it close! Course – This is a primarily flat course, so of course you have to love that. 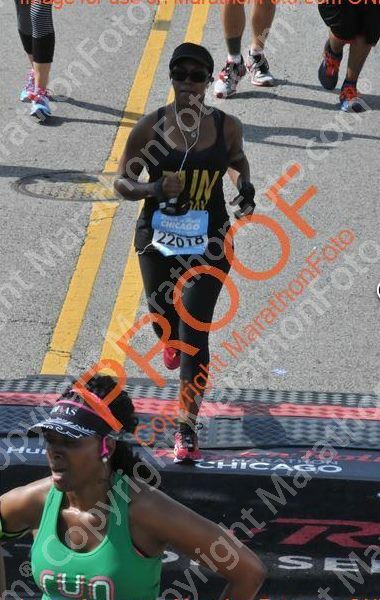 In addition, since this was my first time in Chicago, I really enjoyed running through the streets of downtown during the first half of the race. Although the pavement was a little uneven in some areas, as long as you were looking at where you were going, it was fine. Also the tall building provided much needed shade for a majority of the race. Crowd Support – Because the first half was through downtown, crowd support was AWESOME for the first half of the race (it did die down during the second half). I also want to give a shoutout to the Kingdom Runners. Their volunteers were so encouraging and uplifting. They were some of the loudest cheerleaders on the course! Sponges – I can remember the exact mile (it was somewhere between 11-13) but there was a bucket with cold water and sponges. This was a very welcomed thing because of the heat! Volunteers – As always, the volunteers worked extremely hard, especially in the hot weather. I would like to say THANK YOU, THANK YOU, THANK YOU to all of the volunteers because they were energetic, friendly and helpful. I can’t imagine it was easy for them to stand out in the heat for hours on end – you are all rockstars! Port-a-Potties – Tons of available port-a-potties. I did not really see any lines so I believe they had more than enough available. Post-race food – They had bagels! I repeat, they had bagels! This warmed my carb-loving heart. I was also able to get water and ice from a Dunkin Donuts station. I also saw granola and bananas available as well. Medals – I did the remix challenge so I got 3 medals and all of them were awesome. I will say that I like my Rock ‘n’ Roll DC medal better, but these were pretty nice! 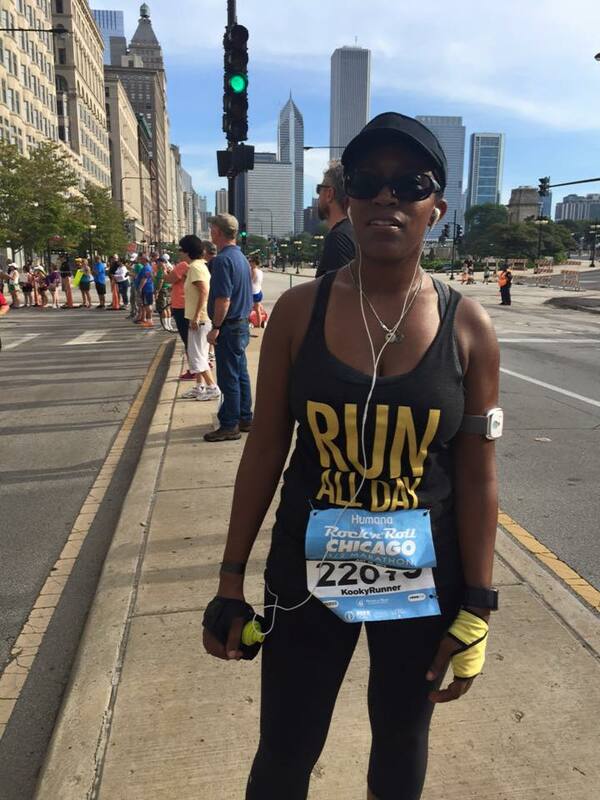 Medical – I saw medical staff running with us during the race, which was great but I heard from others that runners needed assistance and medical was no where in sight. They may have needed more medical personal. Course support – As I mentioned, the volunteers were absolutely amazing, but there were not enough volunteers. At several water stops I saw lines of runners waiting for water or they were pouring their own water. Not only is this not fair to the runners, but its also not fair to the volunteers. They were working their butts off, pouring as often as they could, but couldn’t keep up with demand. Bands – I only counted two bands on the course but there was a live DJ somewhere between miles 8-10. There were also huge speakers along the course for the last 3 miles so we could hear the music from the DJ. 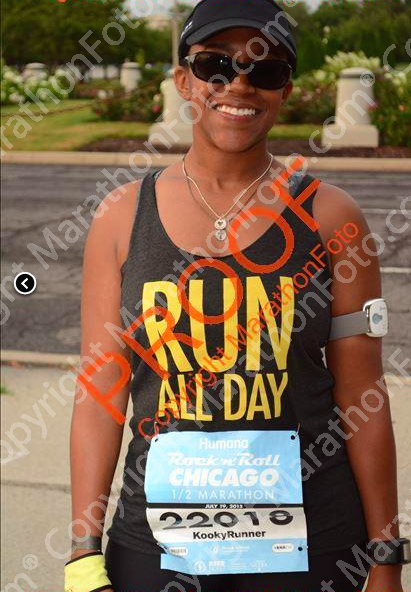 Since the first half of the race was downtown, I could see why there may be a lack of bands but there should have been more in the second half of the race. 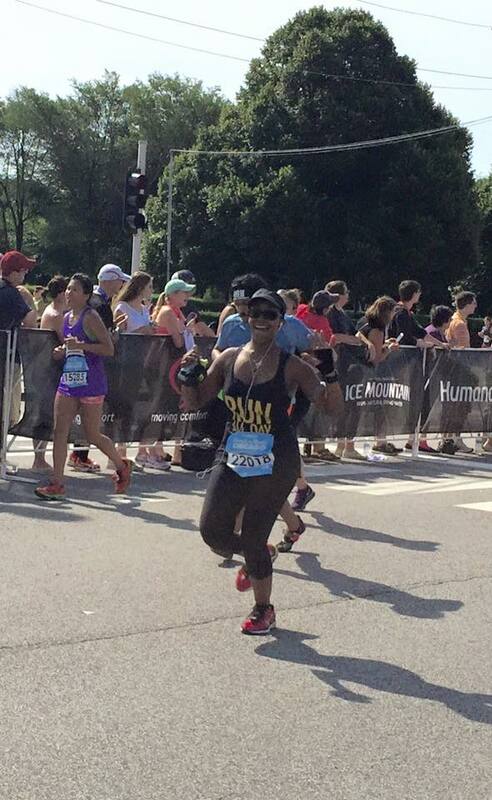 At mile 6 I saw my mom and sister. the damn heat. I don’t look amused. Even though it’s dark, I love this photo. Overall it was a super fun and super tiring weekend, but I’m so thankful for the experience! The next stop on my Rock ‘n’ Roll Tour Pass is Brooklyn, NY in October. I have high hopes for that race! I heard a lot of the same criticisms about last years RnR, which is one of the reasons why I haven't done this one. 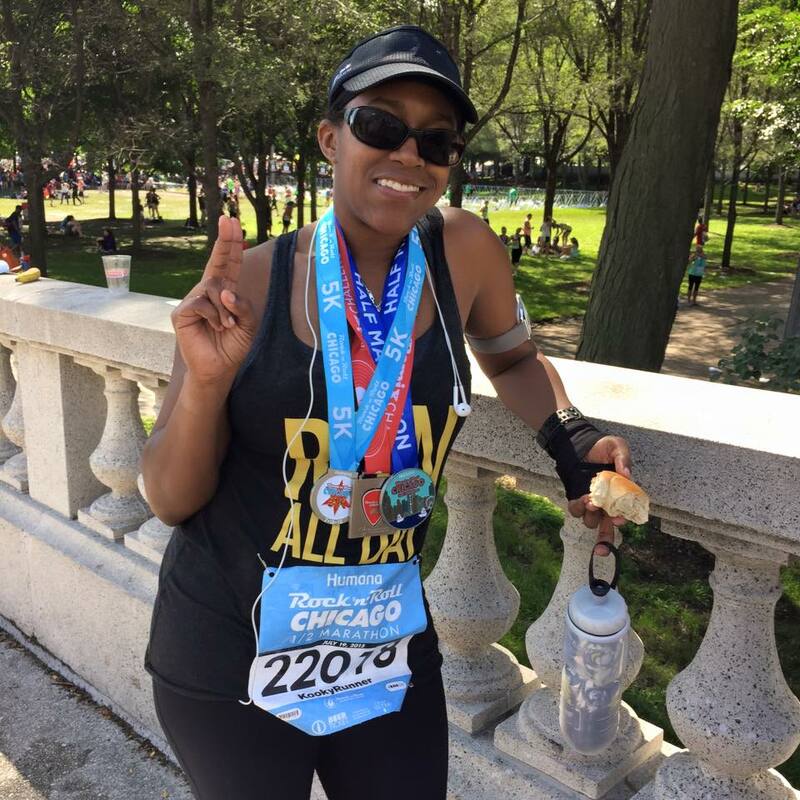 Plus I live in Chicago, and July is notoriously hot and humid–I ran Zooma half last year and it was my slowest and most painful ever! Great job getting it done in the heat!!! Bummer that they didn't have enough volunteers and that there weren't that many bands. I felt the same way about Rock n Roll Las Vegas….barely any bands in sight!